Hospitals saw an unprecedented summer surge in July, with almost 2.2 million patients attending emergency departments (EDs) in England. NHS trusts reported a higher-than-expected number of respiratory problems for this time of year, as well as of cuts, sprains and fractures, which put services under additional pressure. Responding to the NHS England figures, the RCN said that more nurses were reporting unusually high numbers of cases of dehydration, and heart or renal failure, linked to the hot weather – and called for action to support under-staffed services. EDs helped 100,000 more people in July this year than in the same period last year, representing a 5% increase. The number of emergency admissions rose by 6.3%. The figures show that 89.3% of patients were seen, treated, admitted or discharged within four hours in all EDs in July, compared with 90.3% in July 2017. The target is 95%. 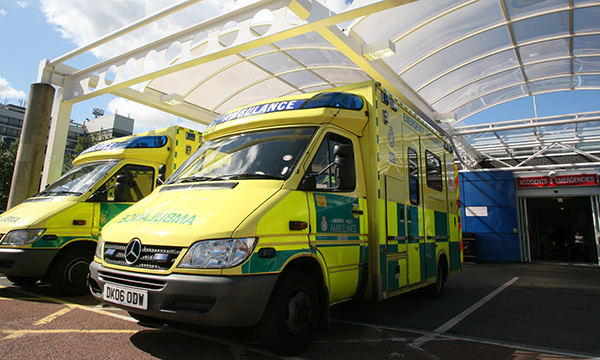 Society for Acute Medicine president Nick Scriven said the heatwave had led to increases in attendances and admissions of people experiencing dehydration, particularly frail older people. He said the added pressure on services suggest bad news during the coming winter, when trusts face are busiest. ‘What is of particular concern now, however, is that the summer months are traditionally the time acute hospitals and frontline staff have to recharge the batteries,’ he said. RCN director of nursing policy and practice Dame Donna Kinnair said: ‘This summer’s heatwave has hit healthcare services hard. With rising A&E attendance and admissions, hospitals up and down the country are seeing winter conditions in the summer, putting extra pressure on services that have barely recovered from the cold weather earlier this year. ‘Nurses are seeing more cases of heart failure, renal failure and dehydration – all conditions linked to hotter weather. ‘Older people are particularly at risk. With 20% more trusts breaching the four-hour A&E target in July compared with June, it’s clear our understaffed services are struggling to cope. A NHS England spokesperson said: ‘As temperatures soared, the NHS saw an unprecedented summer surge last month, with a record 2.2 million patients attending A&E.